I had a successful career with a major Hispanic television network, and our future finances were almost secured due to family wealth. God had bonded us as a tightly knit and loving family. Yet Mary and I were terribly disillusioned. Christianity, as we knew it, had become disappointing and boring. It seemed for us that Jesus represented no more than Sunday church, home groups, and an occasional outreach to the lost. All of this, in a frantic city that seemingly had little time for the things of God. Years of cries, and prayers to the Lord for the Book of Acts, was to be answered in a way that has caused us to live out the gospel. The Lord challenged us to obey Matthew 19:29. He that forsakes home and property for the gospel’s sake would receive a hundredfold return. To live a life of supernatural returns, as we desired, would compel us to one of supernatural giving and trusting, such as forsaking home and property for the glory of God. God told us to give away our paid off home! The idea of giving away the condo pursued us more hotly than ever before, as the months passed. Mary and I finally decided to telephone old Christian friends, who now have a family of eight, and propose to them what we felt led to do. In this “teary eyed” meeting we informed them that the home was theirs, conditional upon the Lord giving us a large sum of money that would sweep us to the islands. Then the Lord dropped a bombshell upon us. “Giving the condo, conditional upon my supplying you with money, is not faith. You have not given away anything!” The agonizing reality of giving the condo away with no guarantee of money or even of a future roof over our heads was slow in digesting. We met with our pastor who confirmed the decision. 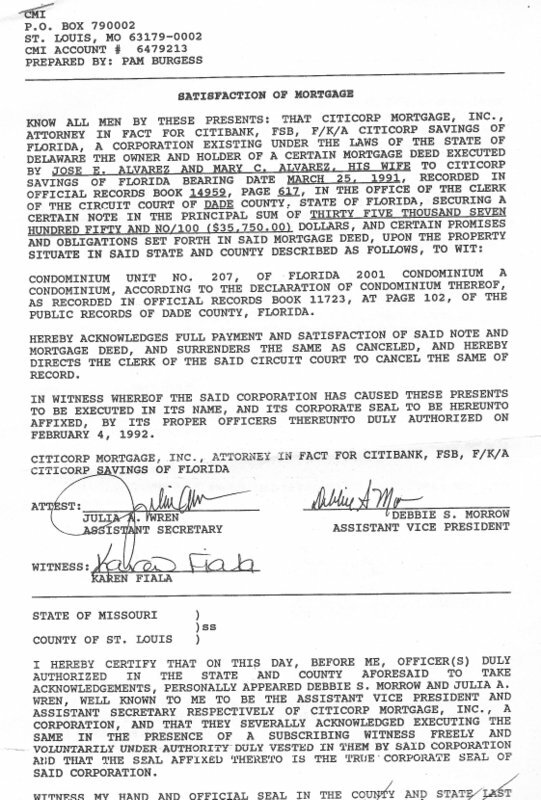 Days later all parties executed a “Quit Claim Deed”, on our condo and furniture, agreeing upon a date on which we would vacate, money or no money. As the time approached, the Lord surprised us once again. We were to pack up our vans and travel north sharing our testimony. The dreaded date came and the Lord still had brought nothing. We were forced to use our credit cards. We had loathed debt, had always paid cash, and had credit cards exclusively for car rentals and reservations. We put our personal belongings into storage, packed up our van with numerous duffel bags, left the condo, and checked into a motel. Three days later, after being sent out by our church, we traveled north as Abraham did, not knowing where we were to go. The Lord led us to the great revival in Pensacola Florida, and a smaller one in Tuscaloosa Alabama. Our spiritual batteries were charged up. In Tuscaloosa, the Lord spoke the word “New Mexico”. We felt relieved because it felt as if it were to be our destination. Our credit cards were quickly being depleted. In Longview Texas, the Lord spoke to us the word “pueblo.” In a map of New Mexico, the Spirit pointed out a place by the name of Pueblo Santo Domingo. We were to find out later, that there are nineteen Pueblo Indian Tribes in New Mexico. Days later, as we arrived into Pueblo Santo Domingo, we were met by a precious Native lady that was selling jewelry from her adobe home. As we talked with her, the Lord placed such a supernatural love for Native Americans in our hearts that it has grown to become our calling. We found out from her, that Anglos were not allowed to live in the Pueblos. Her suggestion was nearby Peña Blanca. Through the hand of God we were able to move into one bedroom efficiency with $10.00 in our pockets. The very nice landlady, who knew nothing of our circumstances, did not need us to pay her for a week. The next day we attended a church in Santa Fe whose pastor we had met a few days earlier. This pastor, knowing nothing of our finances, felt led to take up an offering for us which came to over $700.00. We paid our first rent from that. Several days later local believers, of whom we had asked nothing, totally furnished our apartment. I desired greatly to apply for work at a local television station, but the Lord would not allow it, knowing that the faith level that would be required to bring His mission about must grow even more. One great frustration that we met was that in the pueblos, the preaching of the gospel is strictly prohibited. At this time, all that we felt to do was to build relationships and start up Bible studies in Peña Blanca. Our credit cards were quickly being depleted. We had four dollars to our name, one diaper for our son, and our auto insurance was to be canceled on the following day. As I knelt in prayer, calmly reminding the Lord, that our son had one diaper left, Mary gleefully entered our home with a $10,000.00 check in her hand. Her aunt had unexpectedly passed away and had desired to give Mary this money. Needless to say, our debt and credit cards suddenly were paid off. Praise the Lord! Another time that we had ran out of money and food, God sent us the ravens as with Elijah. This time, however, the ravens were dogs. On that day our adopted pets showed up with an unopened bag of beans, and many unopened cans of food, including a huge jar of peanut butter! Lastly, Mary’s parents blessed their three children at the end of 1997 with a large sum of money. We are in the process of buying an acre of land and a paid off mobile home twice the size of what we gave away in Miami! Since then, we moved to Kenya, with a family of six and two dogs. We are missionaries to America from Africa. From 2008 to now we have been assistant pastors at Doral Vineyard Church, in Miami, Florida. Next year, we move to NY to work in a sovereign move of revival in the north east. There is so much more to tell. You can just imagine! Maybe a second book will be in the works shortly. You can buy Mary’s book on Amazon with our entire testimony till the time we moved into Africa. ← Do They Throw The Dice In The Bible?